The Oxford Dictionary defines a selfie as "a photograph that one has taken of oneself, typically one taken with a smartphone or webcam and uploaded to a social media website." I define #Selfie as "an unnecessary venture into the music business with a song that describes the stereotypical nocturnal experiences of a self-portrait enthusiast." In other words, this song is bad news. The Original Mix song actually starts out innocently enough as a cute little nu-disco song... for about two seconds. It sure didn't take long before the breakdown and the voice of the most irritating 21-year-old partygoer girl strikes me like a baseball bat to the forehead. Yes, I realize that she's intentionally being a total y'know-y'know for the purpose of the song, but even the mere concept that a person actually talks like this frays the nerve endings in my brain. She waxes philosophic about important in this world: getting texts, some guy named Jason flirting with other women, tacky Cheetah-print dresses, tanning, temporarily having to throw up, photo captioning, other girls being fake, drinking vodka shots, and of course, taking selfies. This could all have been overlooked (er... almost) if the song had a melody worth writing home about. Instead, it's electro fluff that never really progresses. Then again, this was a joke song put out by a couple of random blokes intented to be humorous more than anything musically relevant. Well, they succeeded. It's not that great of a song, and it's definitely hilarious that anyone would find it amusing. And this song is an Internet phenomenon. Makes me wish for the days when "all your base are belong to us" was considered cool. No, I'm not even going to continue. 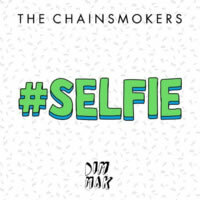 #selfie was originally just a joke, but after a record label owner actually BOUGHT the song, it became an intended cash cow. Well, this is definitely the kind of thing a cow would release. Ridiculous tripe. This song is SO ratchet! ...What does that even mean? !